Bedtime stories this week have been a bit haphazard. We’ve had more daytime stories than anything else! 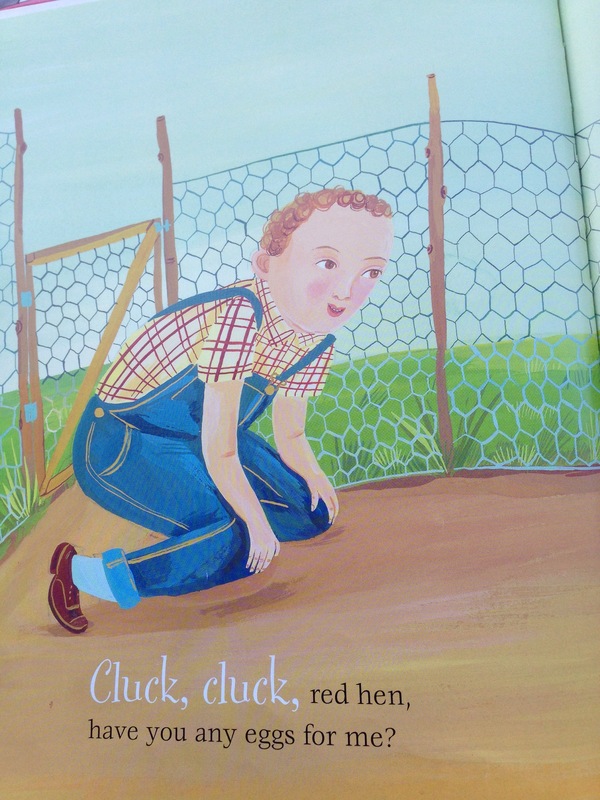 We have been reading our Baby Steps to Literacy books, and I’ll tell you those next week. On Monday we visited the library and read Moo Moo, Brown Cow, Have You Any Milk? This is a story along the lines of baa baa black sheep, that tells of where products come from. For example eggs come from hens, milk from cows, and wool from sheep. At the end of the book the milk is for making the boy sleepy before bed, so it could be a bedtime story. We read it a couple of times in the library, but it didn’t make it to the pile of books to borrow, so read it again rating is only 2/5. 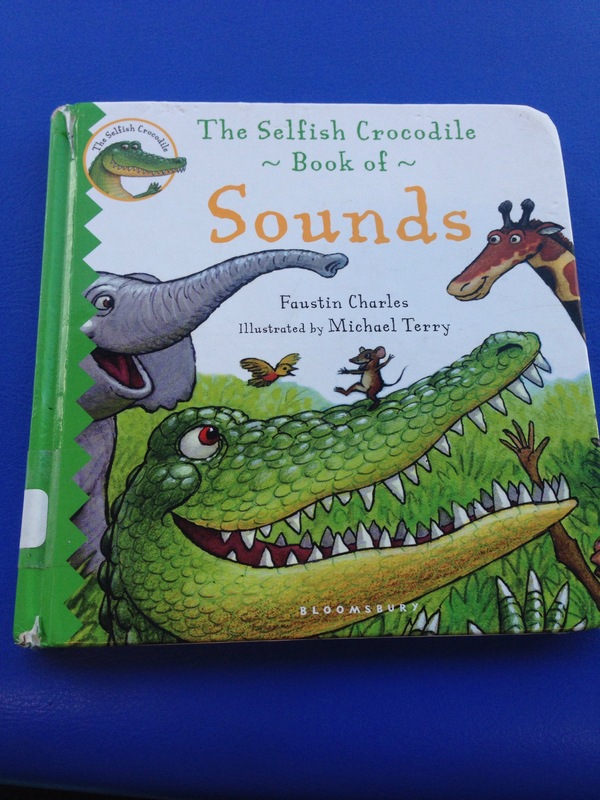 Tuesday’s story was this simple book of animal sounds: the selfish crocodile book of Sounds. James really loved the snakes! He picks this book up, opens it, shouts out the noise of the animal on the page, then puts it back on the shelf. As a story it’s not a rip roarin’ read. 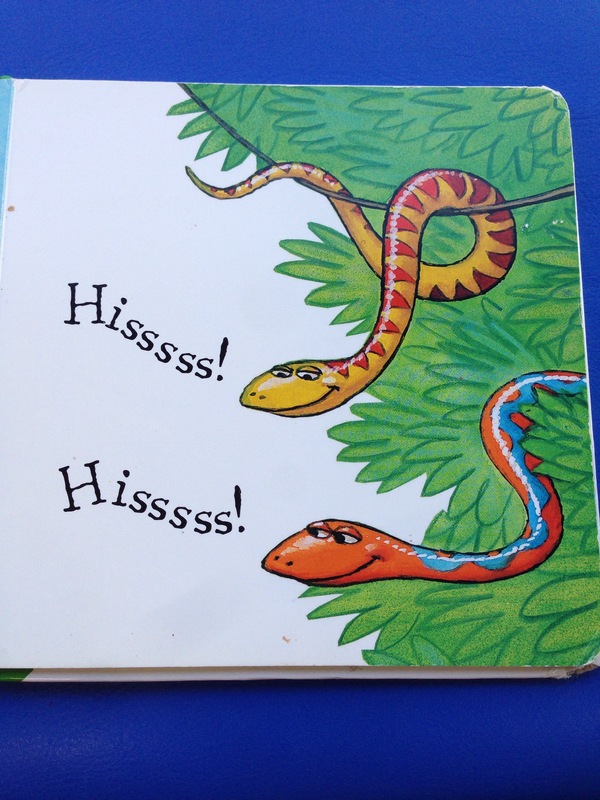 For a toddler its a fun book; animal noises are always great! Read it again rating is 2/5 again – I love the simple illustrations and James giggles if we read it, but there’s no story there. Each Wednesday we go to our local children’s centre for story time. 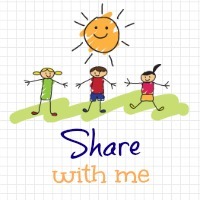 The children have a snack, a craft activity, usually sensory play, singing, and lots of books – all around a theme. It’s really good. This week the ‘book bus’ visited. After their snack the children were divided into two groups and went onto the bus. It is a library bus with animals painted on the outside. Inside there are lots of toy animals. James sat on a ladybird cushion, which he loved. The story in the bus was Dear Zoo. We love this book and read it often. James can recite it without any prompts. I like discovering that there are different versions of this book, for example pop-up, touch and feel, and others. After Dear Zoo, we sand Old MacDonald Had A Zoo, with the pages of the book providing the animals. Great fun. On Thursday we read Sylvia and Bird by Catherine Rayner about fifty million times before bed. It is lucky that it’s a nice book! It’s the story of a shimmer shiny dragon named Sylvia, who becomes friends with a bird, named Bird. The illustrations are gorgeous in this book. Read it again rating is 5/5, and its a real grower. On Friday I had the worst experience of bedtime ever. Two screaming, tired boys is not fun. It’s best to not mention it anymore, but safe to say 8:30 was definitely wine o’clock for me. Saturday’s bedtime story was read to James by his mar-mar, my mum. He had Goodnight Moon, which is another firm favourite here. Anything that gets their imagination going is definitely worth a pop! Enchanted Wood is great fun. Lovely selection of stories here, particularly like the sound of Moo Moo, Brown Cow, Have You Any Milk? Yes, it is a nice way to let kids know about the origin of their food and clothes. Though I told James he drinks cows milk, he didn’t believe me! Matilda is lots of fun, I remember loving that as a child. I didn’t enjoy the movie, though; it didn’t match what I’d imagined. Thomas is a real favourite here too. Sylvia and Bird sounds like a delightful read. It’s going to be a hard one to get hold of though as our library doesn’t have it, and it looks like it might be out of print. Oh no! I saw it on a display in John Lewis a while ago. I asked Little tiger Press (publishers) and they told me it’s only the hard copy that is out of print. Paperback is widely available on Amazon, Hive, etc. They pointed out that the hardback is available on The White Company, however: http://www.thewhitecompany.com/the-little-white-company/toys-and-books/books/sylvia-and-bird-catherine-rayner-book/ which might not help you if you’re in the US? We have been reading Dear Zoo this week too!! My three love “guessing” what the animal is – shame they know who they all are now! It’s a great book! I need to check out Pinterest for some Dear Zoo activities. I think that would be fun. I vaguely remember Mrs Pepperpot; can she shrink or something? A forerunner to Grandpa in my Pocket?! Yes, she shrinks, she’s fab! Much better than that Grandpa! 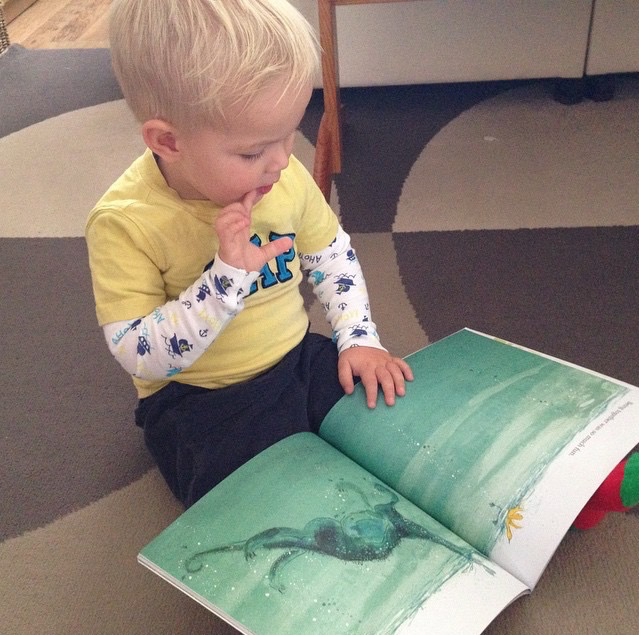 Sounds like you have a lovely little bookworm!